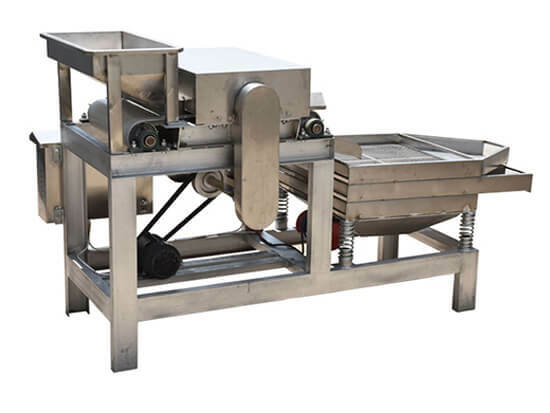 This machine is designed to cut and chop peanut & almond kernels into small granules. And it is widely used in bakery food processing, such as the biscuit, candy, chocolate, and cookie. 1. 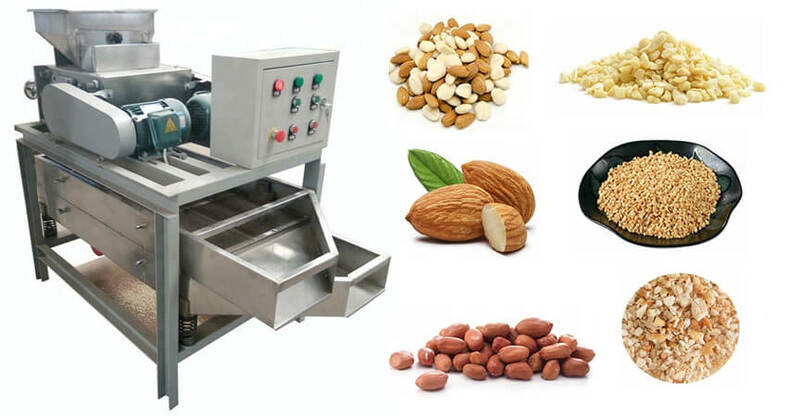 The peanut kernel chopping machine has a high output for the high capacity and fast chopping. 2. It features a high automatic level, so it is labor and time-saving. 3. The almond kernel chopping machine is working with no noise, pollution and oil leak. 4. The chop size can be adjustable as required, and the chopped granule is in good shape with no damage. 5. This machine is suitable for other nuts as well, which needs switching cutters and the cutter can be specially made as buyers’ requirements. Lots of recipes call for chopped nuts, if you don't have pre-chopped nuts on hand and you expect to chop with your kitchen knife carefully, which will be a tedious process, just use this handy technique to save your time and effort. 1. Measure the number of nuts you need and put them into a clean plastic zip-top bag. Squeeze the excess air out of the bag and close it most of the way, leaving just a small opening near one side of the zipper. 2. Lay one dishcloth on a hard, flat surface like a kitchen counter or table. Lay the plastic bag on top of the dishcloth and cover it with another dishcloth. 3. Use the rolling pin to roll over the bag several times, applying firm pressure. After about five or six rolls, remove the top dishcloth and examine the nuts. They may be sufficiently chopped and crushed; if not, just roll them over a few more times. 4. When the nuts are crushed to your satisfaction, dump them from the plastic bag into your recipe bowl or into another container for storing.